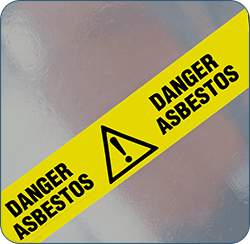 The asbestos awareness training is also useful for anyone requiring a better understanding of the basic elements of asbestos in buildings and is a good “stepping stone” to more in-depth courses. Asbestos-related diseases kill more people than any other single work-related cause. All types of asbestos can be dangerous if disturbed. The danger arises when asbestos fibres become airborne. They form a very fine dust. Breathing asbestos dust can cause serious damage to the lungs and cause cancer. We can offer bespoke training to meet the needs of your organisation based on current best practice. This Asbestos awareness Training Course can be delivered directly in your workplace anywhere in Liverpool. Asbestos annually kills approximately 4,000 people, so the correct training is vital. It is a fibrous material widely used in the building industry since the 1950’s. Asbestos can be found in pipe lagging, ceilings, roofing. The use of all asbestos containing materials was not banned until 1999. This means any building built or refurbished before the year 2000 could contain asbestos. Any worker liable to disturb asbestos while performing their normal everyday work is required to be trained. Every employer must ensure that adequate information, instruction and training is given to those employees who are liable to be exposed to asbestos during the course of their work. The training needs to be appropriate for the work and the roles undertaken by individuals. This asbestos awareness training is a half day course (4 Hours). We are flexible with Start times to accommodate the needs of your business. Please feel free to discuss your timings with us. Current legislation places a responsibility on employers to provide adequate training to make employees aware of the risks and potential hazards. This course is designed to provide employees with a basic awareness of the dangers of asbestos and where asbestos may be found. The course is subject to ongoing assessment by the instructor throughout the course. On completion of the training delegates will undertake a short written assessment to determine the knowledge, understanding and skills they have obtained from the training. A certificate of achievement will be awarded to each course delegates attaining the required standard. We can deliver this course on your premises, reducing your budgeted costs for staff travel and their time out of the business. Your staff would not be directly involved in working with asbestos or they are not licensed to remove this from site. Information, instruction and training for asbestos awareness is intended to give workers and supervisors the information they need to avoid work that may disturb asbestos during any normal work which could disturb the fabric of a building, or other item which might contain asbestos. It will not prepare workers, or self-employed contractors, to carry out work with asbestos-containing materials. There is no legal requirement to repeat an entire formal awareness refresher training course every 12 months. However some form of refresher should be given, as necessary, to help ensure knowledge of asbestos awareness is maintained. 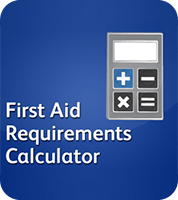 Refresher awareness could be given as part of other health and safety updates, rather than through a formal training course. For example, an employer, manager or supervisor who has attended an awareness course and who is competent to do so, could deliver an update or safety talk to employees in house. 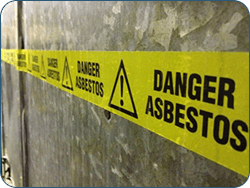 For further information and guidance on asbestos please visit the Health and Safety Executive (HSE) website section on asbestos health and safety. For more information on our Asbestos awareness training offered by Liverpool Training Solutions and how we can help you find the right training courses for your business please email us. 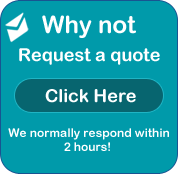 Or alternatively, call us on 0151 515 0416 and speak with one of our training Consultants.